World leaders must support a domestic political resolution to end the country's deadly conflict, says Alexander Yakovenko, Russian Ambassador to the UK. It was in the fertile soil of the ongoing civil conflict that ISIS expanded to Syria. Ever since, Russia has been urging the establishment of a common front of the international community against terrorists, including the al-Qaeda linked Jabhat al-Nusra which, despite its recent rebranding, continues to be a terrorist organization. We agree on that issue with our U.S. partners, as is testified to by the Lavrov-Kerry accords, reached in Geneva along the lines agreed by presidents Putin and Obama. Russia insists on declassifying this deal, so that there is not the slightest whiff of secret diplomacy about it. Terrorists played a key and leading role in the fight against government forces. The battle for Aleppo is a case in point. The fight against terrorism creates common ground for all Syrians. Most of the terrorist fighters in Syria are foreigners, whose agenda has nothing to do with the interests and aspirations of the Syrian people. In fact, the terrorists have hijacked the cause of the opposition. This major factor distorting the entire Syrian situation has to be eliminated. Russia and the U.S. agreed in their capacity as co-chairs of the International Syria Support Group that the opposition groups ought to disentangle themselves from the terrorists on the ground, to be part of the cessation of hostilities (CofH) and to sit at the table of inclusive negotiations on Syria’s future, as provided for in the UN Security Council resolution 2254. That is a key priority in making the CofH sustainable. Russia and the U.S. have agreed to co-ordinate their strikes at terrorist targets in Syria and, for that purpose, help the true opposition sever its unholy alliances with terrorists. This will go a long way in ensuring that humanitarian aid reaches all those in need throughout Syria. The Centre for Reconciliation of the Opposing Sides, established by the Russian military, has been brokering support for the ceasefire at the grassroots and delivering humanitarian assistance. As a result, about 600 villages and 69 armed groups now abide by the cessation of hostilities, co-sponsored by Russia and the U.S. in February. 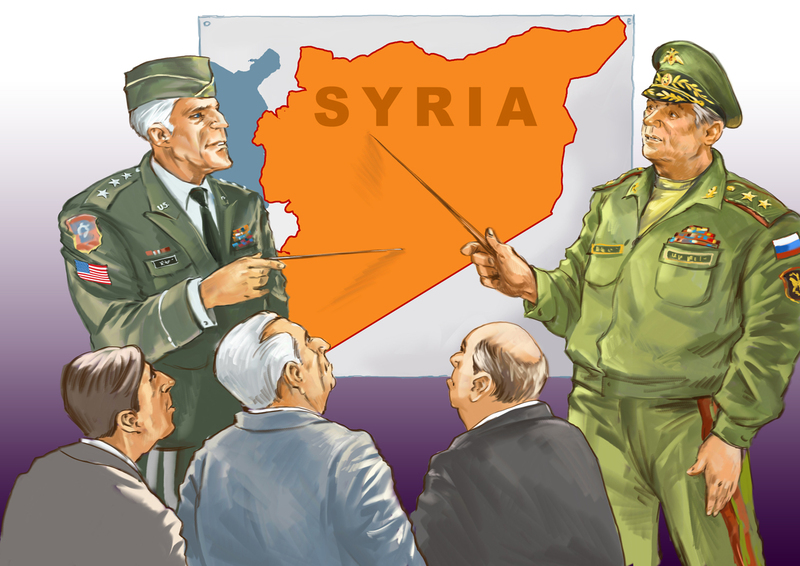 The Syrian situation is complicated by regional rivalries. The conflict is being used to reorder regional politics along the lines of Sunni-Shia confrontation. That is why some insist on turning Syria into a Sunni state, not a secular democracy. So far, all the attempts to impose a “Sunni alternative” on Syria have proved to be a cover-up for a terrorist takeover. No one in Syria expected the conflict to be of such magnitude and to last so long. From the outset, many in Syria were misled by the precedent of Western military intervention in Libya, which the Foreign Affairs Committee in its latest report strongly condemns as a blunder. Had it not been for that intervention, people on both sides of the civil conflict would have acted more responsibly. People know now what life under terrorist rule is like. There are more than enough grounds for a sober reassessment of the situation by all, including outside players. Why not give the Syrians a break and let them decide for themselves? There is no reasonable alternative to a moderate politics of reconciliation and return to a peaceful life. Regional players and the international community at large should help in the economic reconstruction and social rehabilitation of this country. The world let the Syrians down in the past. We cannot fail them now.